Incorporates a comprehensive Voice Mail and Fax unified management application. 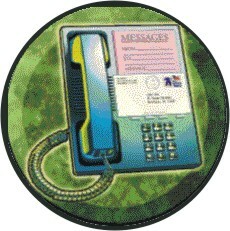 The Messaging / Voice Mail application manages digitally recorded messages. It records, stores, retrieves, reviews, forwards messages, notifies you when new messages arrive, allows caller to be transferred to a designated phone number, receives in faxes to default or selected mailbox, and emails mailbox owner when message or fax received. Corporate Voice Mail; Broadcast Notification Systems; Track-me-down Services; Classified Talking Ads; Real Estate Listings Services; Answering Services; Fax Mail Server; Legacy Voice Mail Replacement.